Don't you love white chairs for the dining area? You will love it even more after seeing this list. 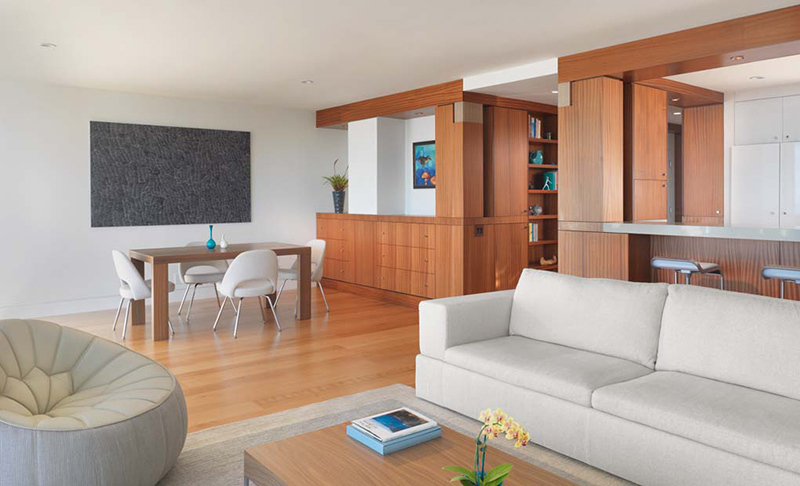 Since many people live in condominiums these days, it is no wonder why there are many lovely condo interiors that are popping out in magazines and in the internet where we could get inspiration from it. 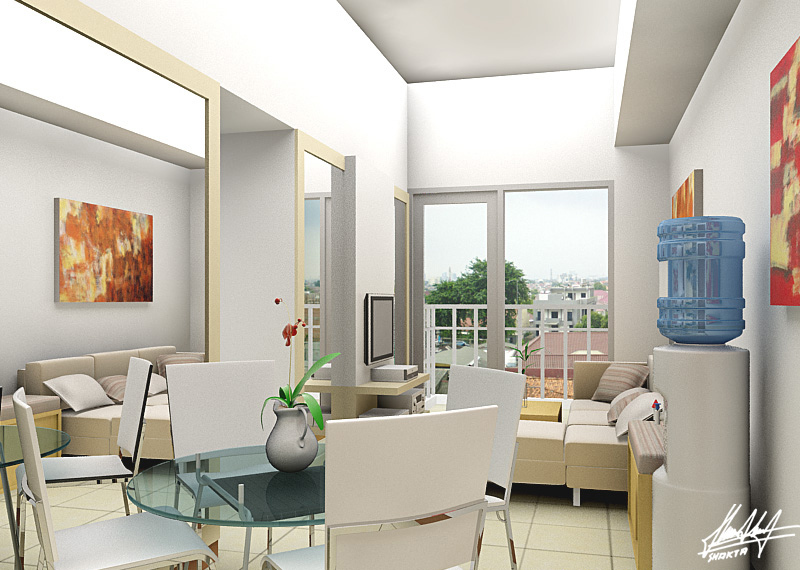 There are actually many things that you can do with your condo from layout to decoration. And I am pretty sure that you are excited to decorate your space and design it as well that suits your needs. We have already created some interior round-ups for you in the condo but we actually have more to show. The most common colors for furniture are white because it looks good in any space. No wonder that we see that in many interiors, especially in modern areas. 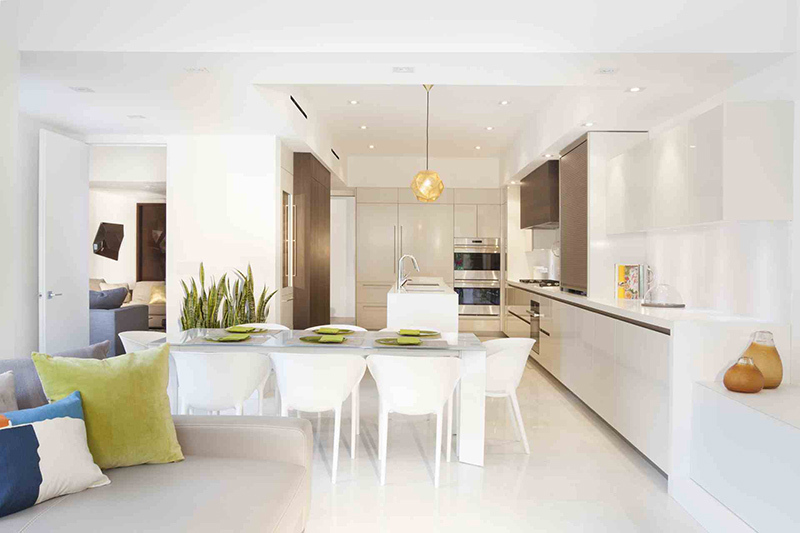 Most condo units have a modern design that is why many of them use white furniture like in the dining area. While others use white for both the table and chairs, some would use white dining chairs only. 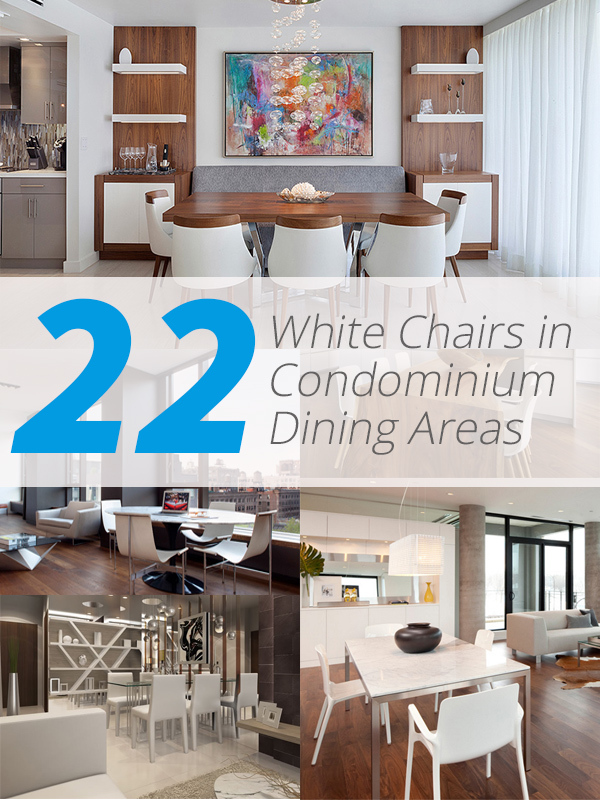 Hence, we have created a list of dining areas that have white chairs in it. Let us take a look below. Lovely! 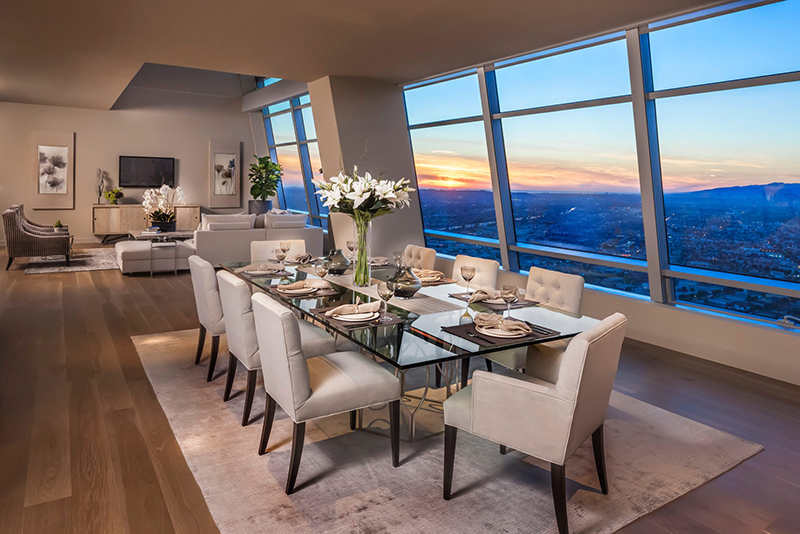 It would indeed be nice to dine in a space like this that overlooks the city. One can even see the sunset from here. And yes, it has white comfy chairs in here around a glass dining table. You can also go for a round dining table with stylish chairs like this one. I really like chairs with unique designs. 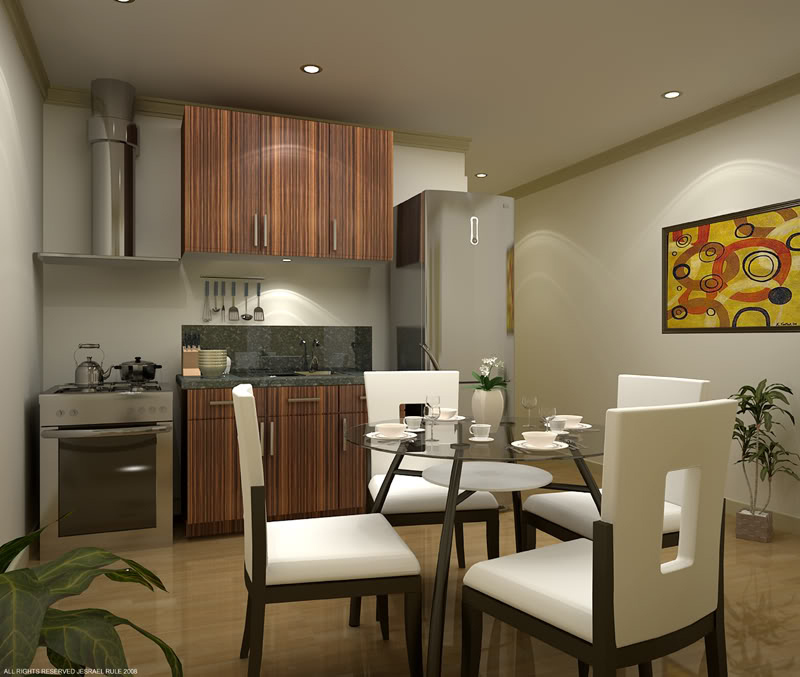 This is a modern contemporary condo with a small dining area just next to the kitchen. Lovely, right? A. Design At Sunninghill Inc.
What immediately caught my attention here is that well decor since it brings some color into the space. And that symmetrical wall shelves look really nice as well with colors that are the same as the dining set. 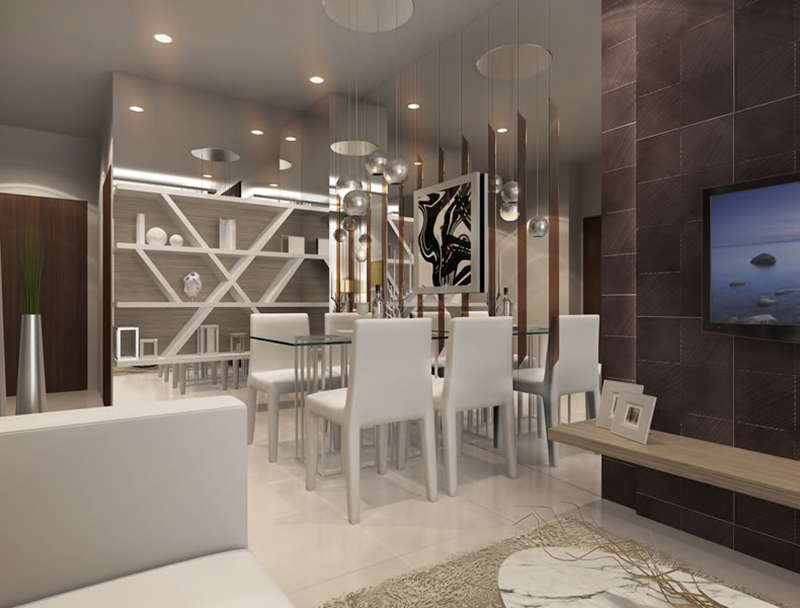 What about a dining area with a mirrored wall? Why not? This one has it and it also has a beautiful wall shelving in the area too which is white like the chairs. 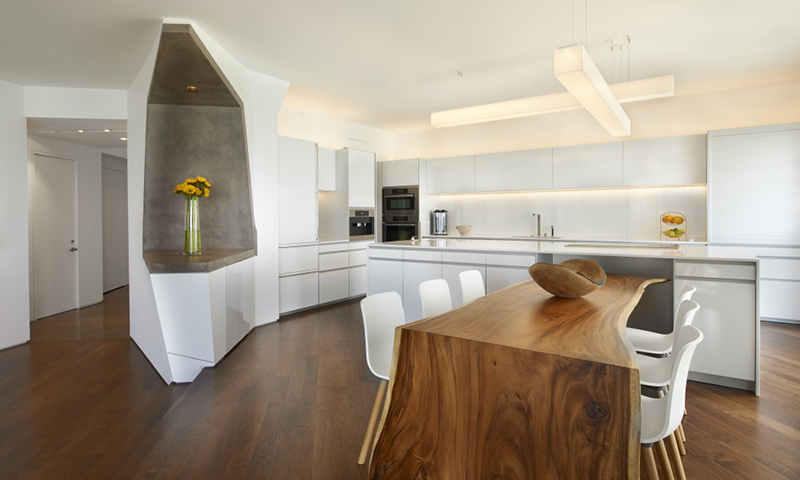 In this dining and living area, you can see that used wooden flooring which added emphasis to the white dining set. I always love anything wooden and white when combined together just like what we can see in this dining area which is located in the home’s kitchen. And hey, look at that unique and almost futuristic design of a corner counter top! 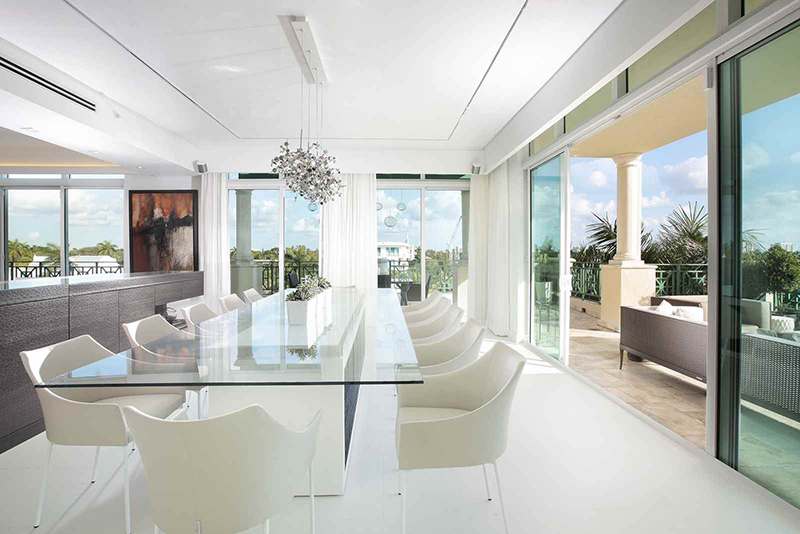 A simple modern dining area with white chairs around a long glass dining table. So simple yet beautiful! 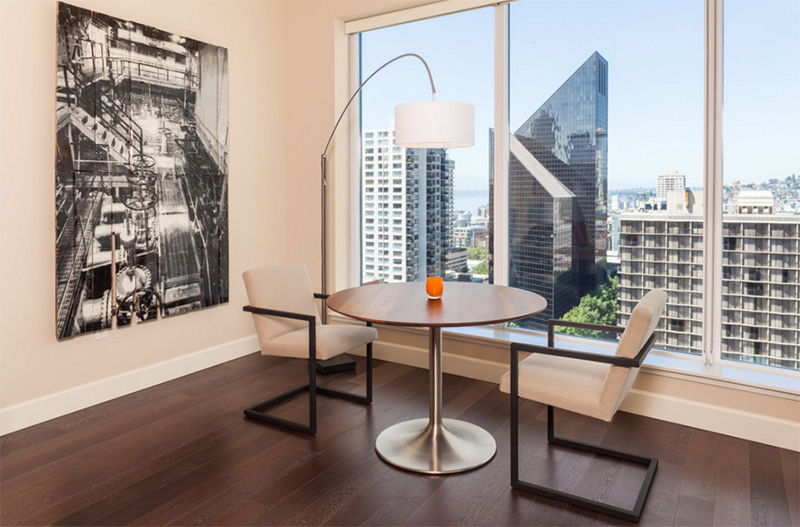 This dining area is located in a 1960s condominium on Russian Hill which was updated resulting into a gorgeous and cozy home. White and black also looks good together just like what you can see in here. 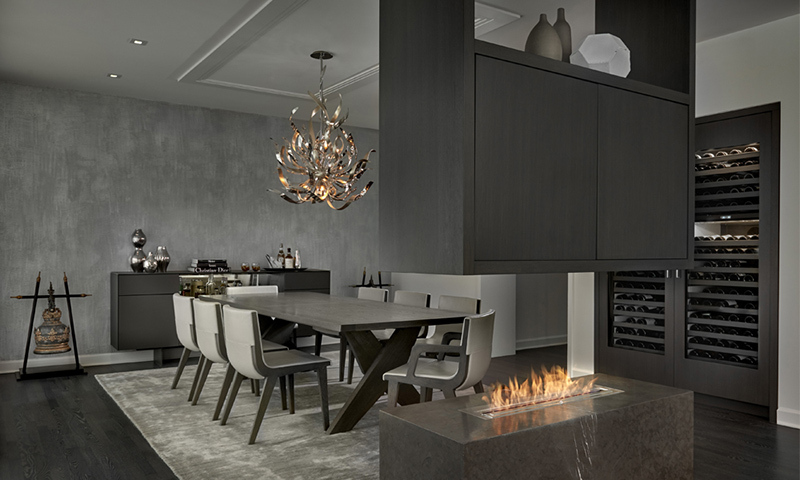 There is a modern fireplace in one part as well as some metallic elements too to add sheen to the space. A small dining area was placed just beside the window so a couple could enjoy the sight of the city around it. And it looks great with white dining chairs indeed. 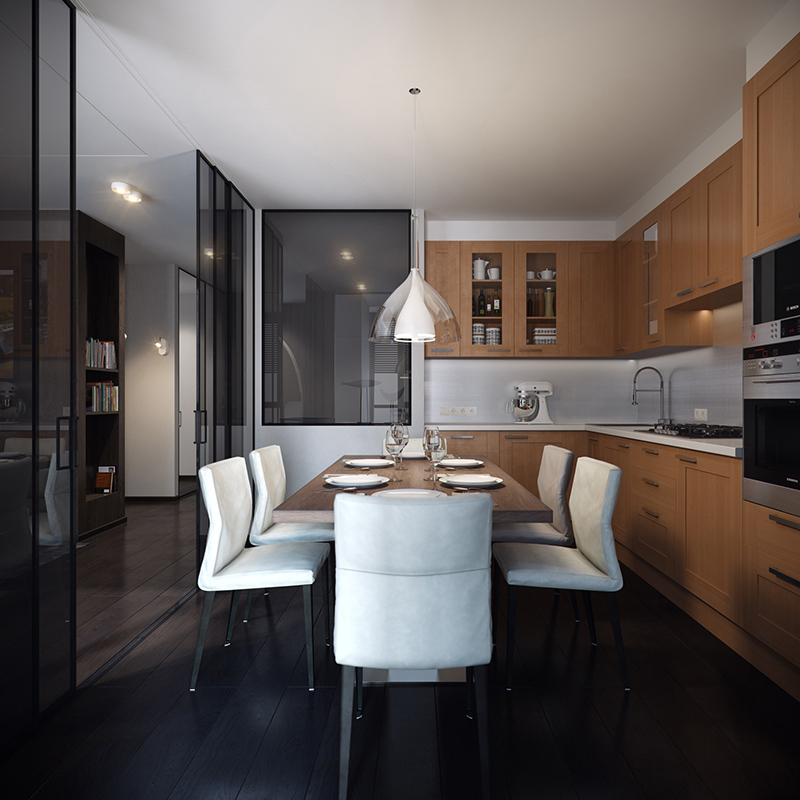 I like the look of this interior especially with the glossy cabinet doors that line the area from the dining space to the kitchen. And of course, I like that dining set with lovely chairs and an oval table. 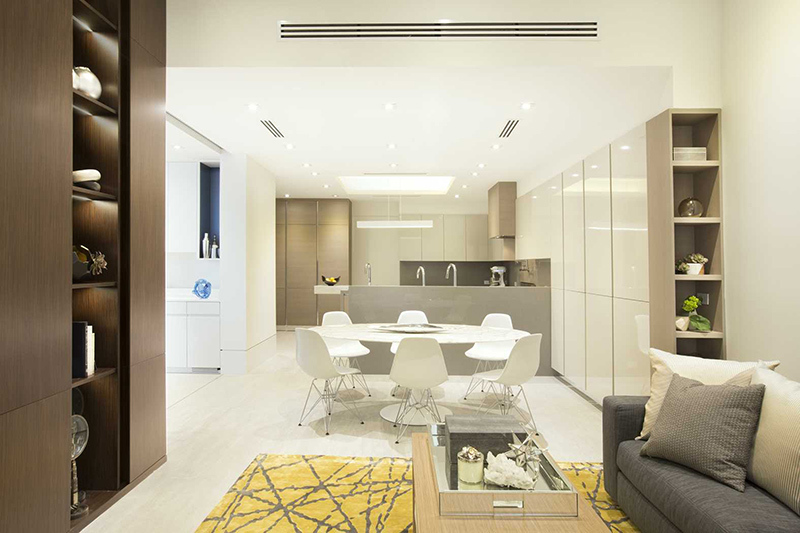 This is a condo that looks like from Asia with a mirrored wall and a small dining area surrounded by white dining chairs. There are many beautiful details in this condo just like that coffee table and also the design of the chairs as well. And there are contrasting colors in here from the walls to the furniture. This dining area is surrounded by glass and it looks really beautiful especially because of the natural light that gets into it. If you want a neat looking dining space, then this is the one for you. Just look at all the white colors in here. That chandelier above the buffet table looks really nice as well. At first glance, you will immediately notice that light area where some plants are added. 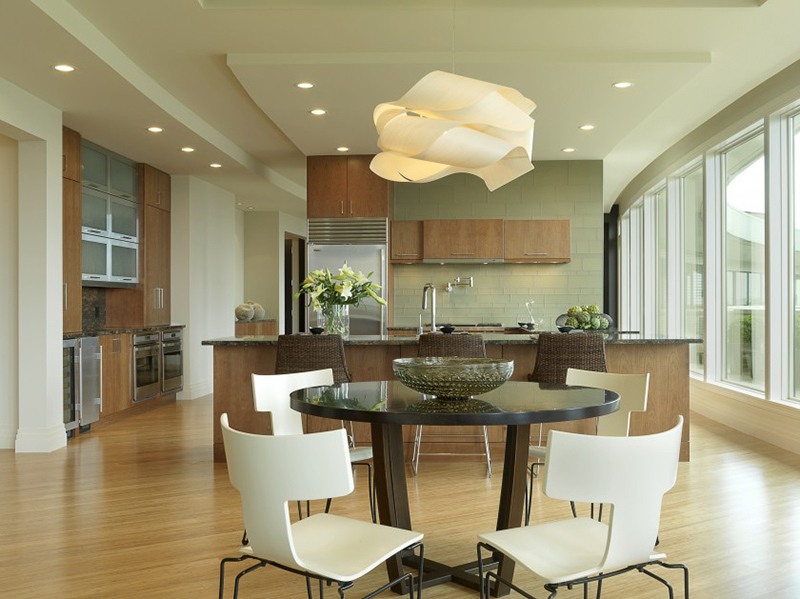 I also like the curvy design of the chairs which seems to balance the sleek appearance of the area. 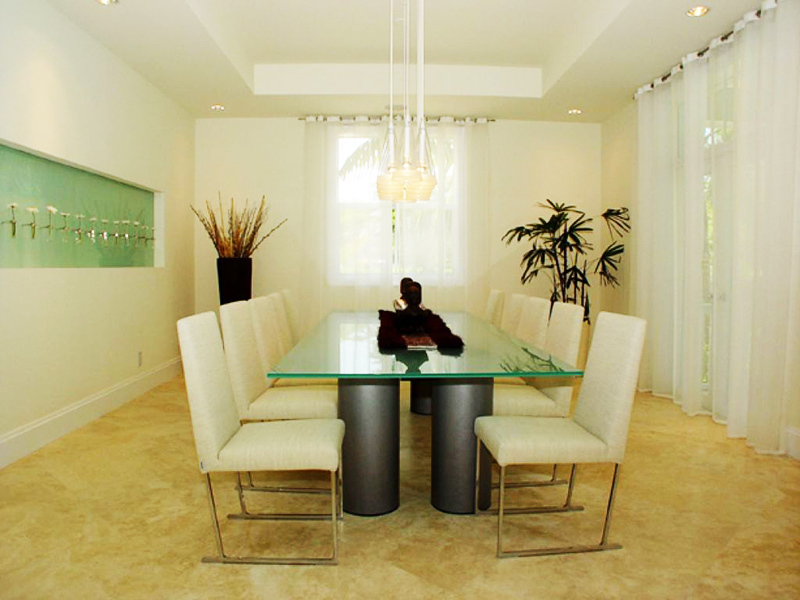 This dining area used honed travertine on the floors which are found throughout the condominium’s public rooms. Love that contrast of dark wood and white in here. 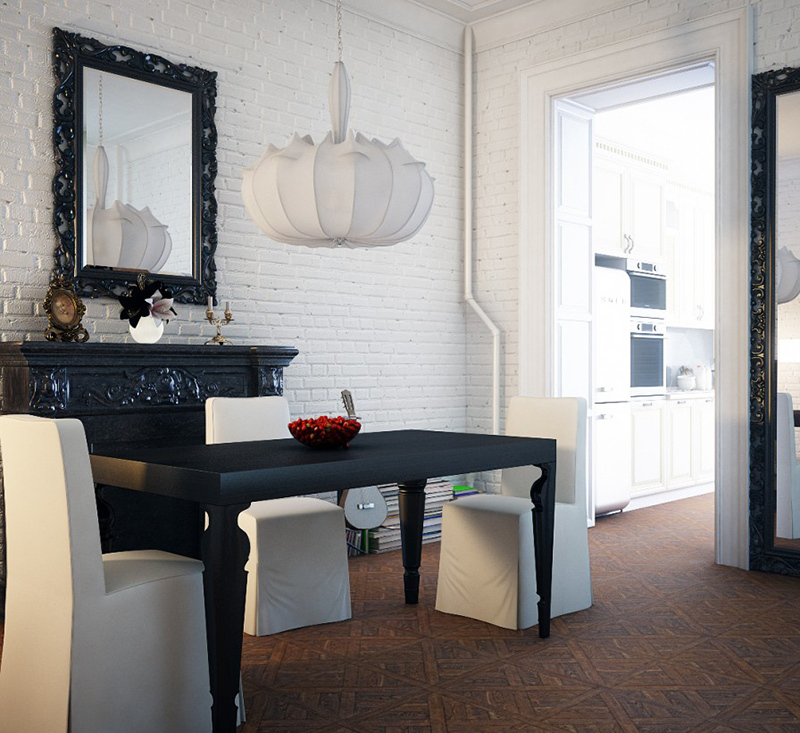 The flooring and the backsplash with patterned tiles look really very artistic! It added a creative flare to the small dining area with white chairs around a glass dining table. Such a nice place, right? Very beautiful indeed especially with the pops of green and blue with the white colors. This dining area has some classic touches from the fireplace to the molding. But it has a nice choice of lighting and furniture. 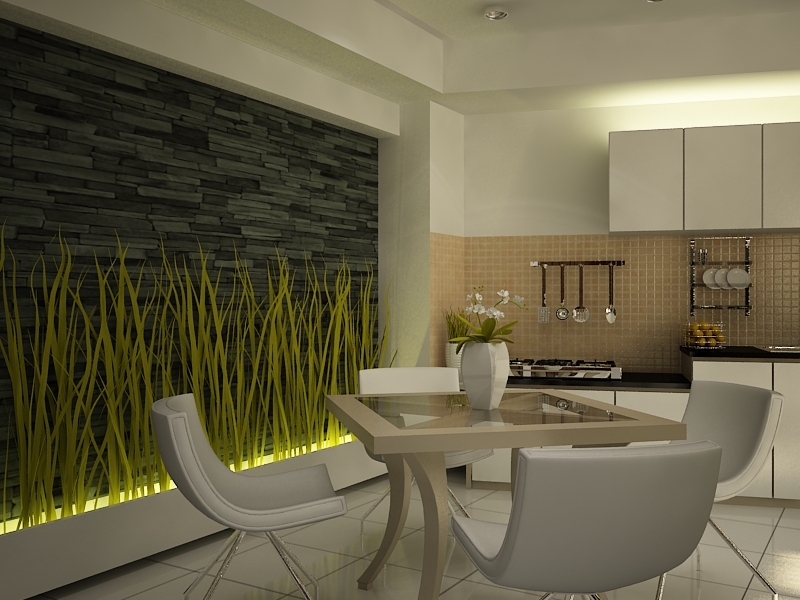 A small dining area within the kitchen that is separated from the living space through a black sliding glass door. It was right to use white for the chairs since the floor is black and even the glass is black too. White really looks beautiful wherever you put it and you can see that it matched well with the different types of tables in the condominiums. They all look really nice no matter what is their style and design. We could see that the space looks more balanced in terms of color and has a stunning aesthetics too. 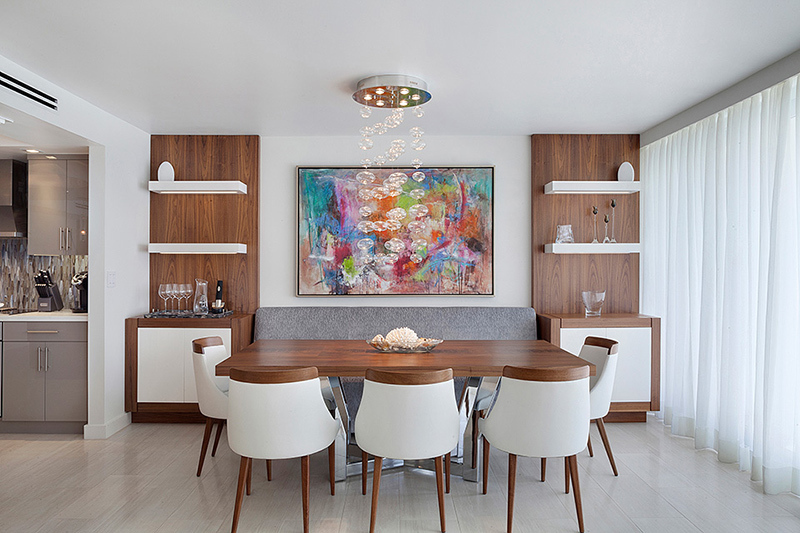 It actually added to the subtle sophistication of the condo dining areas that we have featured above. 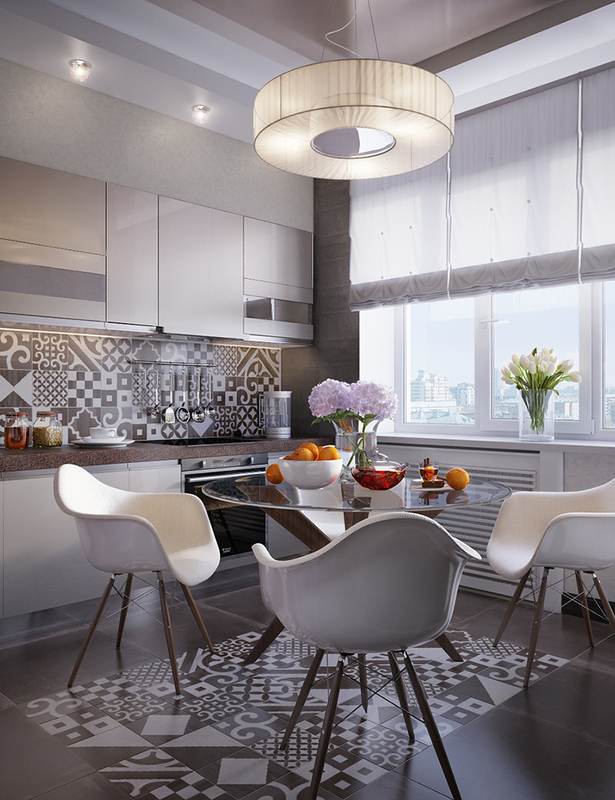 We hope that this list has somehow inspired you for your condo dining areas.